Quality Building Reports are a team of licenced inspectors providing building, pool and pest inspections in Brisbane and the Gold Coast. Since 1987 QBR have been providing comprehensive, easy to read reports from pre-purchase property inspections, pool fence inspections & pest inspections, as well as pest control and removal. Call us on 1800 762 413 or simply book online to arrange an inspection. Are you looking for salt water chlorinator cells online? We offer a huge range of self cleaning chlorinators, pool cleaners & chlorine cells. Shop online with us today. L & V Project Pools is one of Queensland’s foremost aquatic contractors, building the finest customised commercial and residential reinforced concrete swimming pools, spas and water features and is Australian owned and operated. We have constructed more than 4,000 swimming pools, have built pools and water features in a multitude of situations such as - on piers, on decks, penthouse pools and acoustically rated spring sets and rubber mounts -to name but a few. 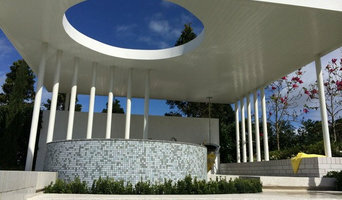 L & V Project Pools do more than just build spectacular award winning swimming pools. The company takes care of the entire process; from the first steps of outlining the concept of your project and defining exact specifications to quality construction and the manufacture of critical equipment with our own award winning team of experts, construction crew, and manufacturing facilities. Australian and New Zealand pool builders continue to push the boundaries in terms of design. Infinity pools, for instance, are no longer reserved for top-end holiday resorts; and lap pools aren’t standalone additions to a backyard. 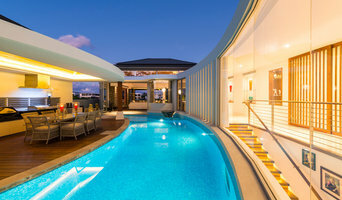 You can now get your feet wet in an infinity pool, lap pool or swim spa that is an integral part of your Tweed Heads West, New South Wales home design. And, with improved technology, there are more low-maintenance, energy-efficient and sustainable options available. Whether you’re at the beginning stages of planning a pool or spa, renovating an existing one, or just need upkeep assistance, there’s a Tweed Heads West, New South Wales pool specialist on Houzz who can help. After council approval, your contractor will commence construction, which can take up to two weeks for a fibreglass pool and longer for a concrete pool. 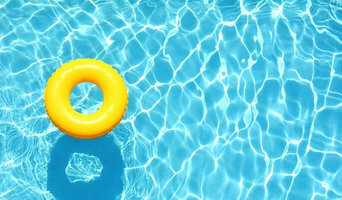 Some companies in Tweed Heads West, New South Wales extend their services to pool fencing, landscaping and the coordination of trades for filtration and heating equipment, as well as pool cleanings, water testing, renovations and equipment replacement or repairs. Here are some related professionals and vendors to complement the work of pools & spas: Garden & Landscape Supplies, Landscape Architects & Designers, Building Project Managers, Landscape Contractors & Gardeners, Solar Power Contractors. Find a Tweed Heads West, New South Wales swimming pool and spa expert on Houzz.